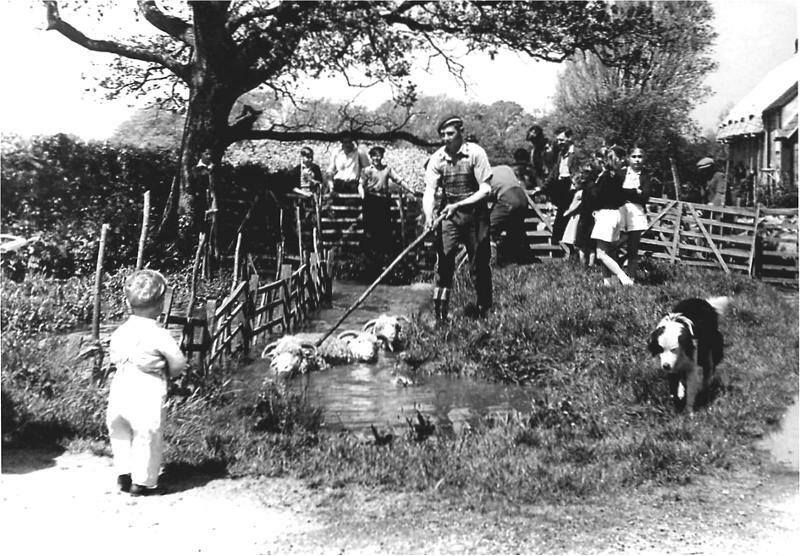 Old pictures of Washing the Sheep at Calbourne. All pictures on this page contributed by Mark Stephens from Billingham, they are all thought to have been taken on 26th May 1956. 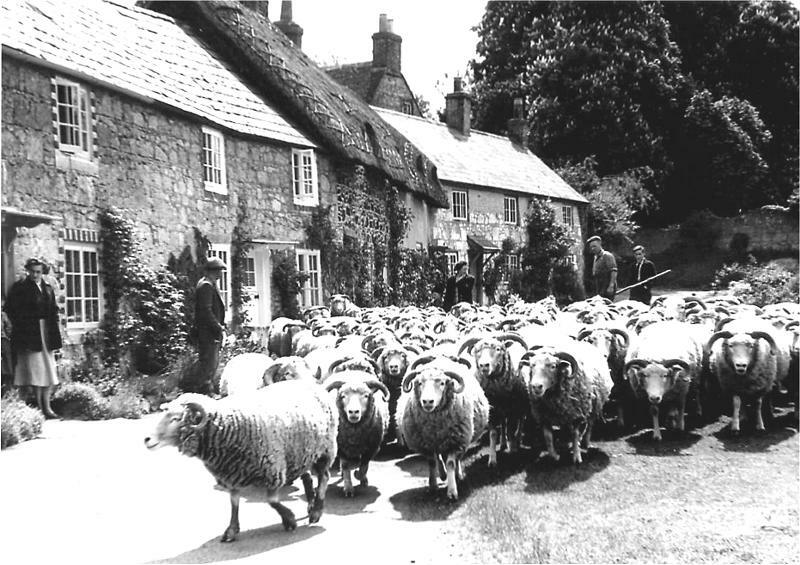 Driving the sheep towards Calbourne. One out in the front and they all follow like sheep ! 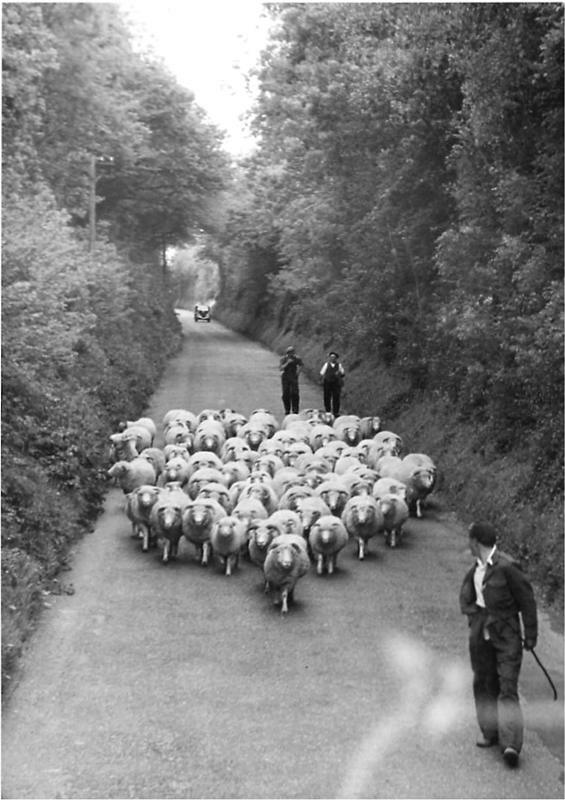 Taken at Apes Down cutting (between Blacksmiths Arms and Swainstone) 1956 from the top of a double decker bus. 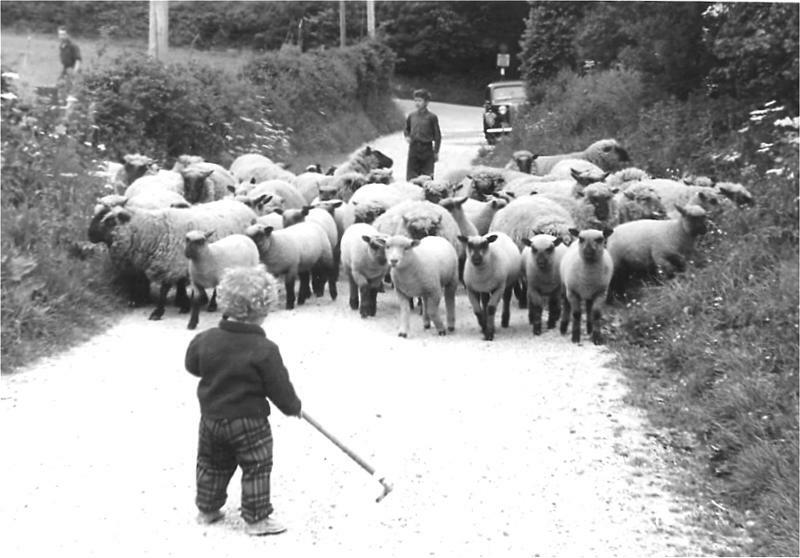 The man walking in front of the sheep was Ted Guy - following behind the sheep were (left) Les Flux (farmer) and (right) Albert Warne. 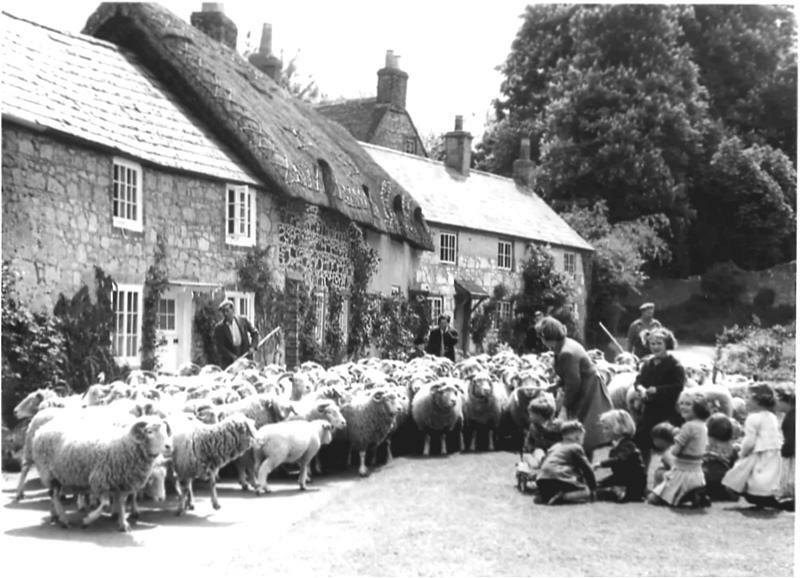 Gathering in Winkle Street (Calbourne). Bath time, one by one.